Mantri Group and North Town will sponsor the property exhibition, a meeting point for the home buyers and builders. Nearly 100 projects will be displayed. Properties from tier I and tier II cities are also expected to be displayed. 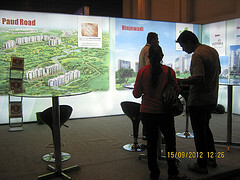 Property Exhibition is looked by the NRI investors to gain firsthand information about upcoming projects. The exhibition will also display properties of various forms including luxury villas and independent villas, beach-side and hill station properties, etc. Residential plots and gated community projects also will be displayed. 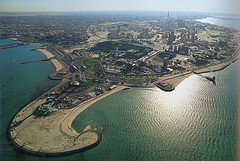 Kuwait will witness 23rd property exhibition. Properties from Mumbai, Coimbatore, Ooty, Trichy, Delhi NCR, Pune, Nagpur, Hyderabad, Rajahmundry, Vizag, Bangalore, Chennai, Pondicherry, Gurgaon, Kochi and several other locations are expected to attract home buyers. Due to a number of reasons, the real estate sector of India is considered as a better option for investment. Moreover the property prices are always showing upward signs which is considered as a boost for the investors. With the foreign investment liberalization policies of the government make it easier for the NRIs to invest in Indian properties. With all these policies NRIs can easily buy or sell properties in India. They are hassle- free in leasing their properties as well. Real estate investments always bring higher returns than the other options of investment in India. Besides all these, there are many financial agencies which offer home loans at lower interest rate. With all these real estate investment becomes a better option for the NRIs. All these factors are well studied by the Indus Group and Response Events and Exhibitions, the organizers of property exhibition in Kuwait. This entry was posted in Real Estate News and tagged Investment, Kuwait, NRI, Property, Property exhibition, real estate investments by designer. Bookmark the permalink. Please let us know about your next property expo,so that we can also consider participating.